This is a great traveling companion when it comes to field production shoots. 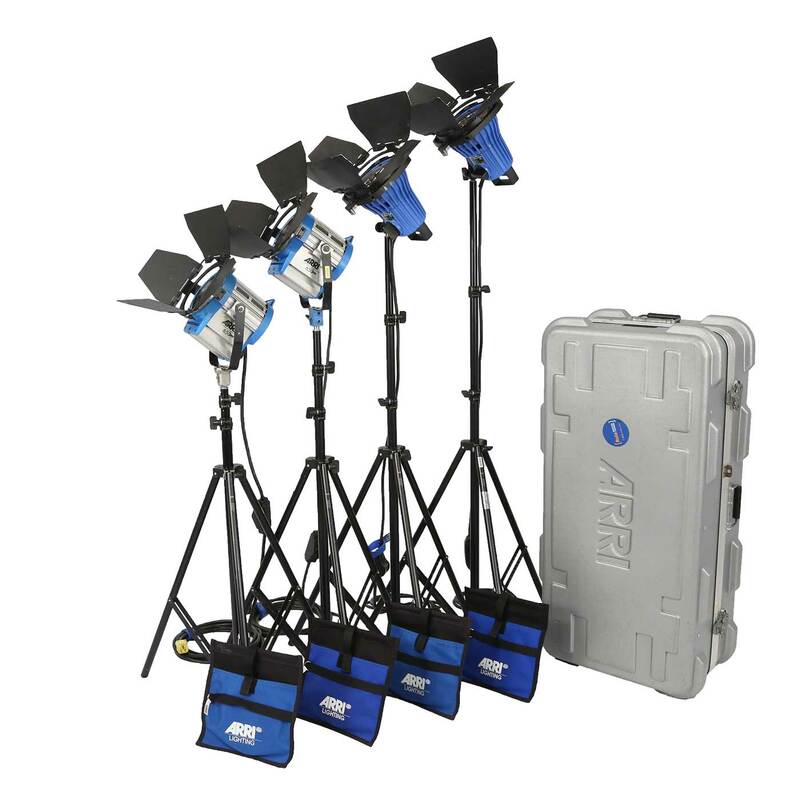 It includes two 750W Arri open face fixtures (which have the light output of the older design 1KW fixtures), a 650W fresnel fixture and a 300W fresnel fixture. It also includes 2 Chimeras, scrim sets, barndoors and lightweight stands for each fixture. This lighting combination is an invaluable, low-cost kit to use as back light, highlight props or extra talent, or fill in dark or shaded areas in a scene.